Gulan co-hosted with The Mosaic Rooms and Ikon Gallery an event featuring the work of Jamal Penjweny, a young Kurdish photographer and film maker. Jamal was one of the 11 Iraqi artists featured in the Iraq Pavilion at the Venice Biennale in 2013. The Pavilion was curated by the Director of Ikon, Jonathan Watkins, who spoke at the event, describing how he curated the Pavilion and presenting pictures of the exhibition and the work of the artists. 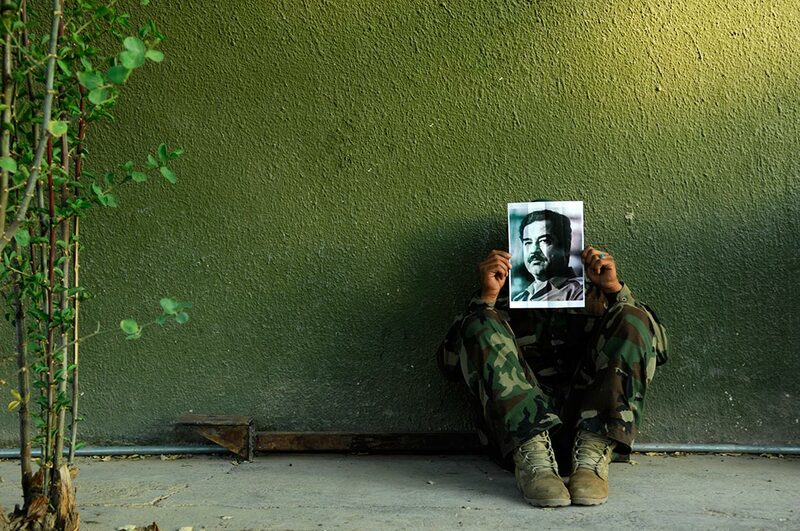 Jamal’s first solo exhibition, Saddam is Here, opened Ikon’s 50th anniversary programme.